IVECO will be debuting its impressive new Stralis X-Way at The UK Concrete Show, displaying two 32-tonne vehicles (AT340X40Z and AD340X40Z) – equipped with a 9m3 Liebherr mixer and a Wilcox alloy insulated tipper respectively. The Stralis X-Way range stands apart for offering class-leading low kerb weights, enabling fleets to benefit from the best payload potential on the market, subject to vehicle specification. This includes the ability for a Stralis X-Way mixer chassis to consistently carry 8m3 of concrete, even when specified with a 3mm drum. Plus for tipper operators, the increased payload capacity means Stralis X-Way can carry more, translating into fewer vehicle movements saving operators time, fuel and money. The specialist range of rigids and tractor units is designed to meet the rapidly evolving demands typically found in the construction, plant, forestry and municipal sectors. The modular construction allows vehicles to be specified to meet exact customer needs, be this on or off road. This modular approach provides the opportunity to consider three homologation setups: ON, ON+ and OFF. It raises the stakes in light off-road missions with an outstanding body/payload capacity allowing customers to carry more. The range’s versatility means IVECO has produced a vehicle that offers the best of both worlds – combining the Trakker chassis strength with the fuel saving, driveability, comfort and safety of the Stralis range. While focusing on reducing the total cost of ownership, the Stralis X-Way has not compromised on other key performances. The range integrates IVECO’s most advanced features for on-road journeys from the best-in-class transmission to the new HI-MUX technology offering improved reliability and increased data management. The state-of-the-art HI-CRUISE system integrates driving assistance functions such as eco-roll, predictive gear shifting and predictive cruise control. 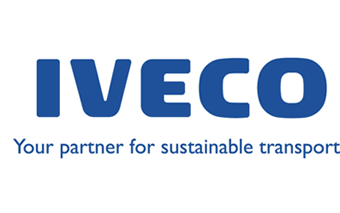 It also benefits from IVECO’s proven HI-SCR after-treatment system which maximises safety, payload, uptime and fuel efficiency. The Stralis X-Way is one of the cleanest diesel vehicles on the road and with the HI-SCR system it achieves a 97% NOx-abatement level meaning Euro 6 standards can be met without exhaust gas recirculation and without the need for forced regeneration of the diesel particulate filter (DPF). It comes with a choice of Cursor 9, 11 and 13 engines and transmissions including manual, Allison automatic and the new automated ZF Hi-Tronix 12 or 16-speed. The Stralis X-Way also offers a range of cabs: the AD (Active Day) short cab with a low roof, AT (Active Time) sleeper cab with a low or medium roof and the AS (Active Space) which provides ultimate comfort for the driver. Also on display at the NEC will be a Stralis 6×2 tractor unit (AT44OS46TX/P) with a 17.5 inch mini-mid-lift axle – which offers unparalleled payload capacity given the gross vehicle weight of the chassis. To maximise its weight benefits it has been fitted with aluminium fuel tanks, air reservoirs and wheels. The range has a wide offering of low emission and high torque engines at different power ratings again featuring the same HI-SCR after-treatment system as the Stralis X-Way. Engines in the range have also been re-engineered to reduce friction and an anti-idling function automatically turns off the engine after a pre-set period when the vehicle is parked, to improve efficiency further.